Brydge 12.9 aluminum Bluetooth keyboard has ready to bring MacBook-style experience to your iPad Pro 12.9″ for enhanced productivity. Like the idea? Let’s have a look. The Brydge 12.9 is a beautifully crafted Bluetooth keyboard designed for iPad Pro 12.9″. The keyboard measures 12 x 8.75 x 0.28 inches and weighs 1.55 lbs. As we can see from the images, the Brydge 12.9 shows off an elegant and minimalistic appearance design, and the silver and space gray color options ensure it’s perfectly compliant to the style of iPad Pro. 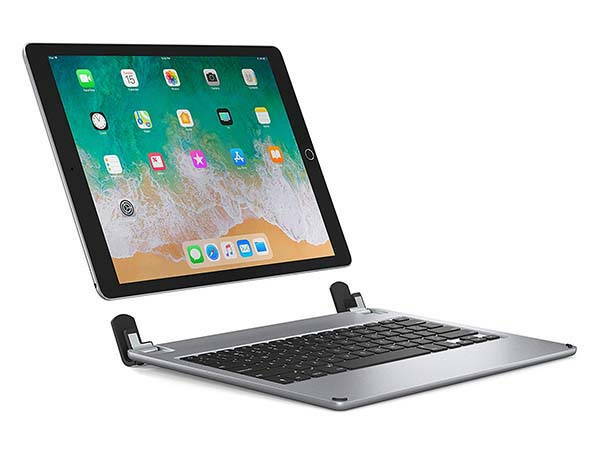 The Bluetooth keyboard feathers patented hinges not only securely hold your iPad Pro, but also provides a true laptop experience with its 180-degree rotation. Furthermore, the butterfly keys features only 1.5mm of travel for a comfortable and smooth typing experience. Meanwhile, 3-level LED backlight has been built under the keys so that you can effortlessly type in low light conditions. 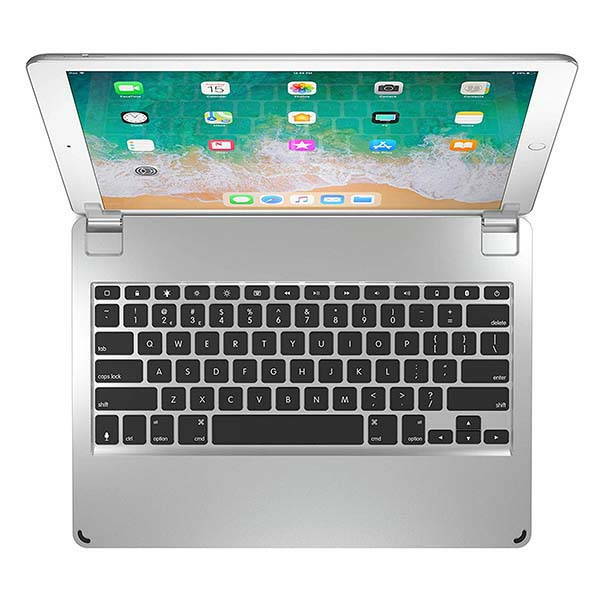 Moreover, it’s forged out from a single piece of high-grade aluminum for durability and premium feel, and when closed, it protects the screen from scratching. In addition, built-in rechargeable battery offers up to 12-month battery life between charges. 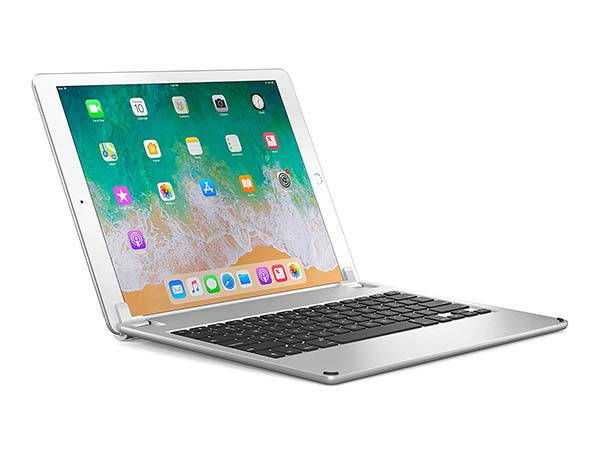 Brydge 12.9 aluminum Bluetooth keyboard for iPad Pro 12.9″ is priced at $149.99 USD. If you’re interested, jump to the product page for its more details.